The passport cost can be affected by a variety of factors. The passport prices listed below are accurate as of July 13, 2010. For an adult applicant applying for a passport book whether for the first time or when applying for a renewal, the passport cost for the book is one hundred and ten dollars. The passport cost for a passport card is thirty dollars, whether the person has already obtained a passport book or card or not. These passport prices can be combined into a single passport cost of one hundred forty dollars. These passport prices, as mentioned are the same whether the person is pursuing their first adult passport or is renewing a previously held passport. The difference in passport prices between a new adult application and a renewal lies in the fact that a new application must be accompanied by an execution fee of twenty five dollars. 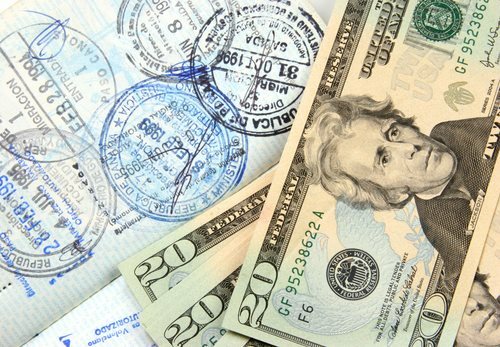 For renewals, there is no passport cost associated with the execution of the request. For minor applicants for a passport, applying for a passport book and card has a passport cost of ninety five dollars, plus a twenty five dollar execution fee. Of these ninety five dollars, eighty dollars is the passport cost for the book, with a fifteen dollar passport cost for the passport card. For minors, the passport prices for renewals and new documents are the same. Other passport prices include fees for expedited service, passport book overnight delivery, a file search fee, and fees to add pages to a passport.